"It's rare that a book so substantive can be so practical. 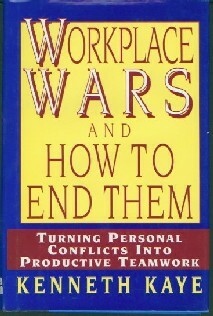 This book is, as Kaye says, 'a manual for unlocking the energy of good people who are locked in combat.'" - David J. Robino, former Senior Vice President, A.C.Nielsen; Vice President, AT&T;Vice Chairman, Gateway Corp.